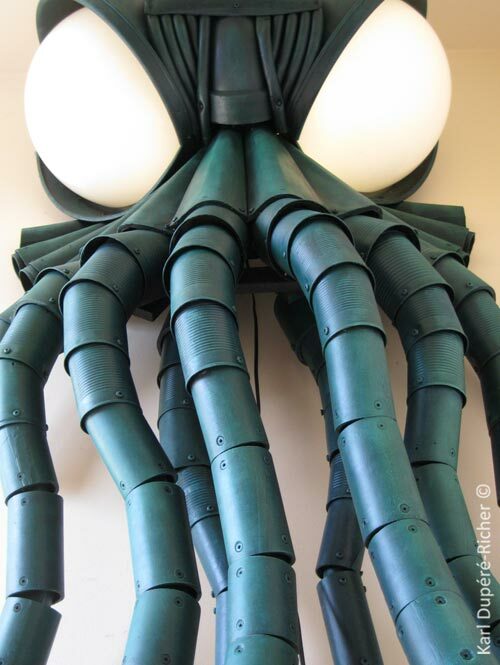 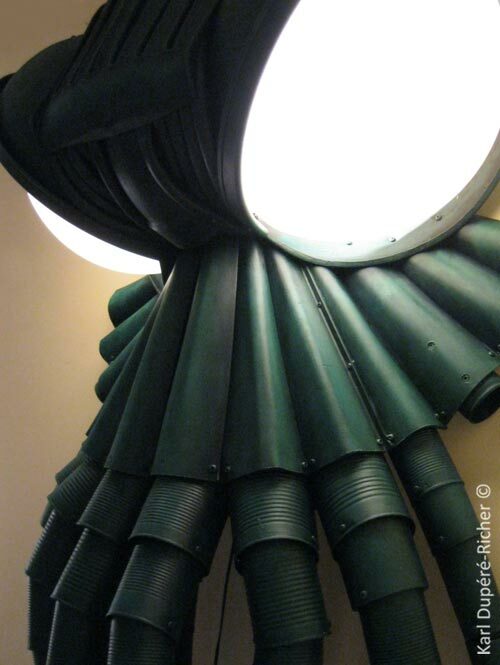 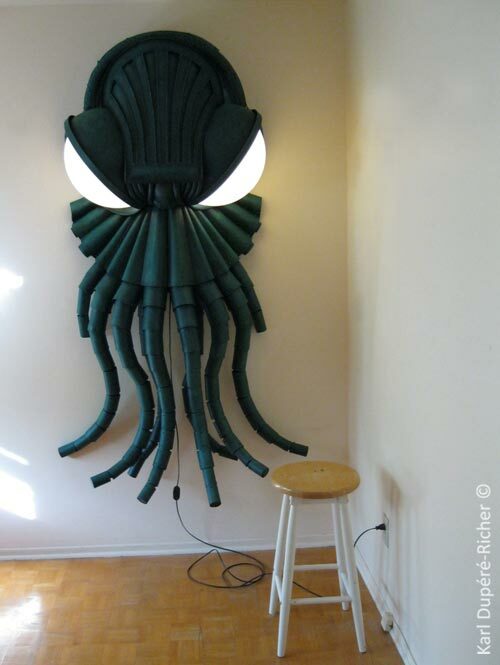 Sculptor Karl Dupéré-Richer has crafted a Cthulhu Lamp using recycled objects like PVC patio chairs, a flowerpot, an umbrella base, bike tires, 30 cans, pieces of a garden hose, an acrylic globe light, and car body parts. 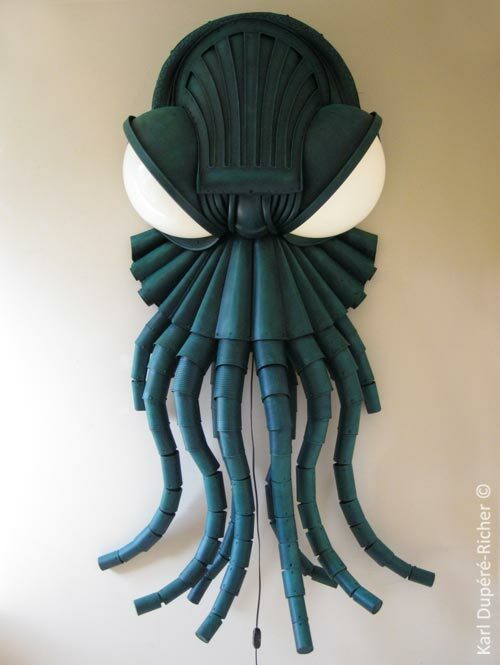 According to Karl, inspiration for his Cthulhu piece was “drawn from the work of writer H.P. 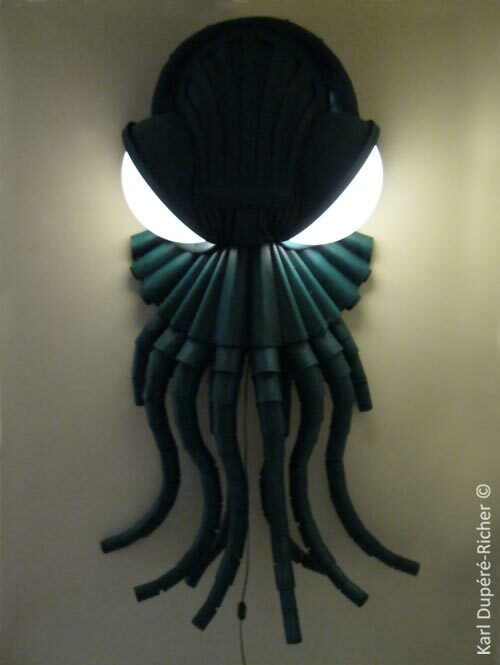 Lovecraft.” You can view more photos of the lamp at Dupéré-Richer’s website.